Celebrating Handmade Books has become a favorite annual gathering of those who appreciate all aspects of creating handmade books. 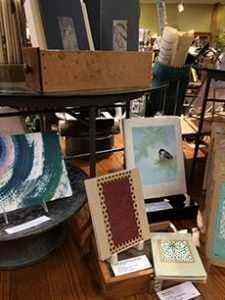 Members of the Northwoods Book Arts Guild present books specially created for this event at If Only…a fine store. All NBG members are invited and encouraged to participate! All books are for sale and need to be delivered October 22-29. If you have questions or are interested in receiving more information and a submission form please contact If Only here.